The 96 Watt 24VDC CVD96L24DC is a Class 2 Constant Voltage LED Driver with 0-10V dimming availability. 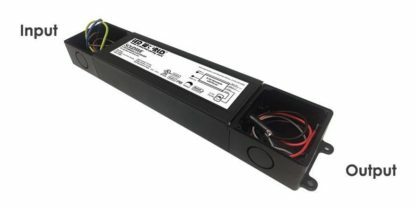 The UL Listed type enclosures has a built-in junction box on both input and output sides for easy hardwired installation. These drivers are IP65 rated and are suitable for both indoor and outdoor installations. 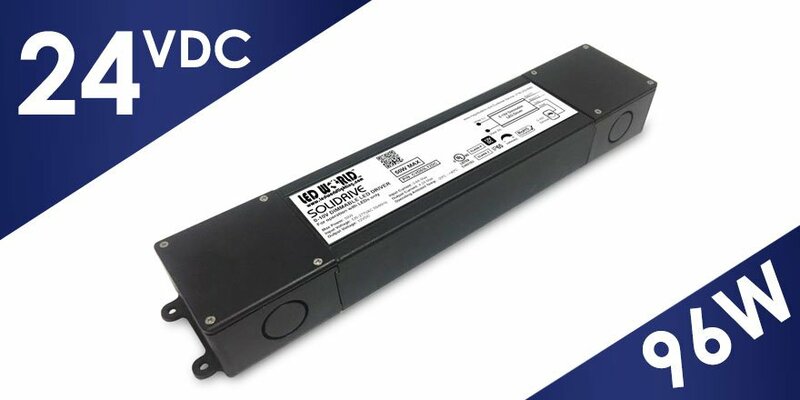 As a standalone unit this conduit ready LED driver will enable complete installation without having to install external junction boxes. It saves your invaluable time and money in installation and approvals. 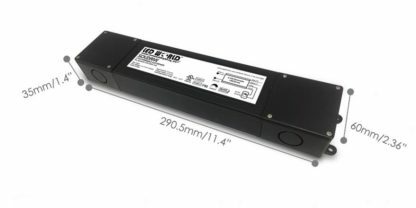 The 0-10V dimming delivers smooth flicker-free linear dimming down to 1% with most LED’s and a wide variety of compatible dimmers (that use 0-10V dimming).